NCHS serves more than 62,000 individuals annually at eleven clinic locations, providing comprehensive medical, dental, mental health, as well as health education services and social services. The access impact NCHS has in the community is reflected by the over 280,000 patient visits. Most NCHS patients are below 200% of poverty and are primarily uninsured or are covered by government insurance. In addition, Ms. Cota also oversees a number of community programs and services among them are programs such as WIC nutrition program serving over 18,000 women and children as well as a county-wide HIV/Case Management program and an extensive community outreach and insurance enrollment programs. Ms. Cota has experience in executive management, strategic program planning, finance, and operational management in both the public and private health sector. Under Ms. Cota’s leadership NCHS has grown to expand healthcare access by growing the medical, dental and behavioral health services. She oversees a budget $60+ million and a staff of more than 700. Under her Ms. Cota’s leadership North County Health Services has been the recipient of many awards, among them are Callaway Golf Company Foundation Award for Organizational Excellence, the San Diego North Regional Economic Development Council Award for Healthcare in the large non-profit health category, San Marcos Economic Development Corporation’s Economic Development Excellence (EDE), the San Marcos Chamber Business of the Year Award and the recipient of the Tri-City Medical Center Diversity and inclusion in recognition of its employment diversity and collaborations. Under her leadership NCHS has received several UT Best Places to work at recognitions; the most recent one was the Peter Barron Stark Workplace Excellence award. Ms. Cota serves as the Chair of the Board of Managers for Integrated Health Partners, a subsidiary of the San Diego Council of Clinics. Ms. Cota serves in the Board of Directors for The Elizabeth Hospice and she is the Secretary of the Board for the San Diego Council of Community Clinics. She serves in a number of Advisory Boards such as City National Bank Advisory Board, the CSUSM University Council and the Palomar College President’s Circle. In addition Ms. Cota serves in a number of health-related Ad-Hoc Advisory Boards and Committees with the California Primary Care Association. Ms. Cota holds a Masters degree in Public Health from San Diego State University, and three certificates in health administration from various institutions: John’s Hopkins University School of Public Health, UCSD School of Management, Harvard Business School of Management, and UCLA Anderson School of Business. 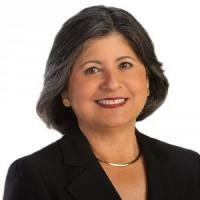 Ms. Cota has received many recognitions among which include the 2014 Union Tribune Healthcare Latino Champion Award, The Bill Uhland Ethics Award (2012) from the San Marcos Rotary Club; one of the region’s “Women who Mean Business,” (2003) by The San Diego Business Journal and finalist for “Most Admired CEO” (2009) by The San Diego Business Journal; North San Diego Lifestyle magazine’s nomination as one of the region’s “50 People to watch”; and “Woman of Distinction” by the Oceanside Soroptimist Club. In 2003 she received San Diego County’s Public Health Champion Award and in 1993, the “Distinguished Alumni” from SDSU School of Public Health.